In the “Arrange” category, you will find the “Booklet” Action, which you can use to turn a multi-page file into a booklet. 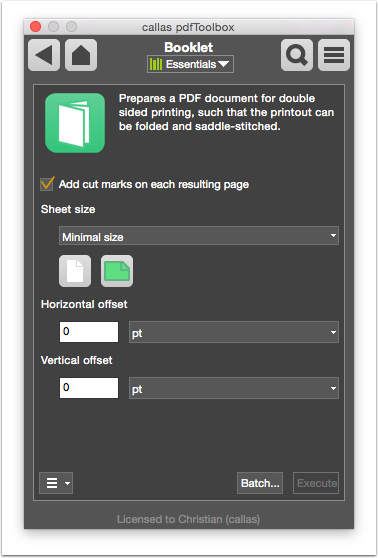 You can specify the set size and the horizontal/vertical offset, as well as specifying whether cut marks should be added to each resulting page. 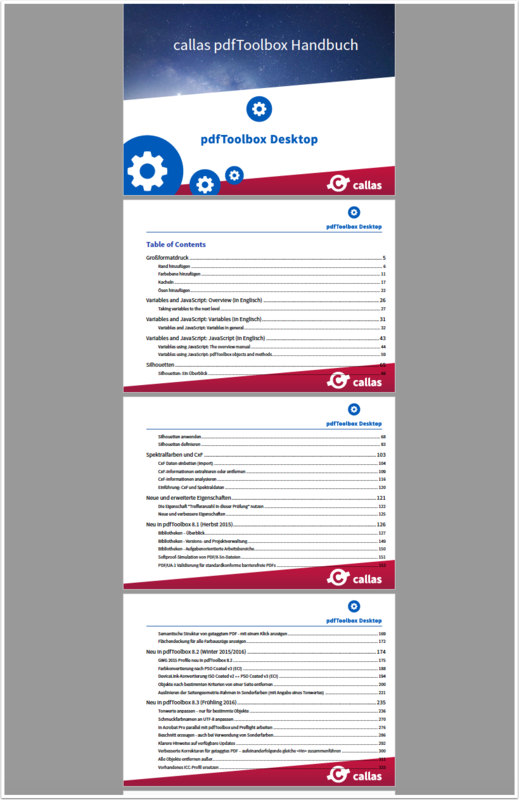 The input document consists of a number of individual pages. 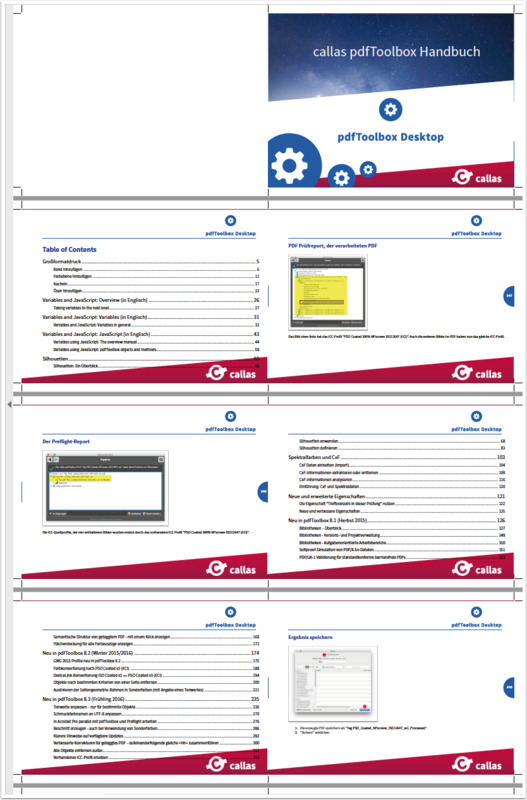 In this example, we will use the pdfToolbox manual. After selecting the “Booklet” Action from the Switchboard, the parameters mentioned above will be shown. Here, you must most importantly set the desired sheet size for the finished brochure, as well as defining its orientation. The parameters shown in the screenshot above will produce the following result when executed. This is designed for double-sided printing with saddle stitching. Goodday , we are running Toolbox6 & would like to find out how to set creep compensation when imposing a booklet. Thank you. It is not possible to set the shingling offset within the "Booklet" action. But when using the "Impose" functionality, an individual offset can be defined in custom runlist-config-files. Please contact the us (support@callassoftware.com) with the details for the needed offset and we will be glad to provide you a adjusted runlist.